The body you have today is the only one you will ever have, which means you have to care for it now and throughout your life. The key to making sure your body continues to serve you is preventive health care. At Nano Health Associates in Hollywood and Miami Beach, we understand the importance of preventive care. Healthy habits and an active lifestyle are the foundation to disease prevention. We can help you create a better and healthier way of life. Contact Nano Health Associates today to begin the journey to a happier, healthier you. 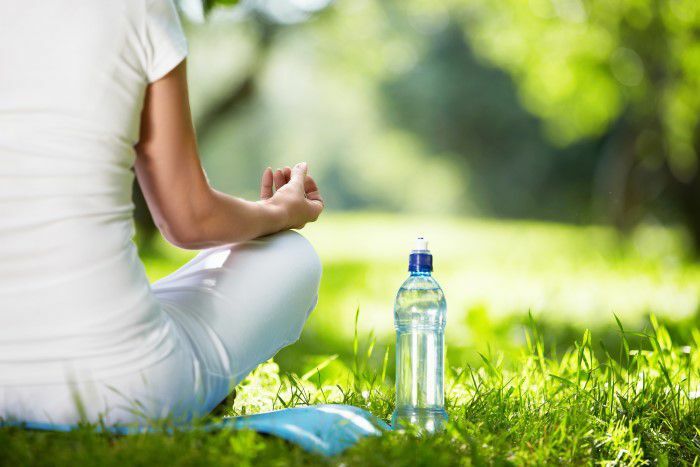 Here are some great tips to kick-start your healthy lifestyle through simple habit changes. This famous adage should perhaps be modified to the effect that what you eat will make you what you are. Bad eating habits are both bad for their long-term effects on the body and the difficulties associated with changing them. A good diet should have a protein content of between 5 and 10 percent, which can be achieved by consuming fish and dairy products, bread and potatoes. Your diet should also include plenty of fruits and vegetables that contain the vitamins and minerals needed to keep a body functioning properly. Those with diets that are lacking in these products are more likely to develop cancer later in life. Since water is the elixir of the human body, a lack of it can cause long-term harm to the digestive tract and even lead to kidney stones. The average person needs between six and eight large glasses of water every day. This need for fluids can partially be satisfied by consuming fruit juices or low-fat milk. On the other hand, the excessive consumption of sugary drinks can result in obesity and the many problems associated with that condition. The obvious immediate effect of physical exercise is the burning of calories that will help someone control his or her weight. Long-term benefits include the protection of the heart and lungs from disease and degeneration. Exercise even increases the production by the body of the chemicals that can improve a person’s mental state. Such high-impact sports as football can do long-term harm to the body and should be avoided. Endurance activities such as walking, bicycling and swimming safely exercise the entire body, while flexibility exercises in the vein of yoga benefit joints and connective tissue. Additionally, low-impact sports can be continued well into a person’s later years, helping to prevent or reduce the effects of health conditions often associated with old age. The adverse health effects of tobacco products have been known for decades, but one hard fact is that nearly half of the heavy smokers in this country will die from a tobacco-related disease, including cancer and emphysema, before reaching the age of 65. Avoiding smoking can extend your life. There are few substances that cause more physical and psychological problems than alcohol. The prolonged use of this drug can lead to the development of cirrhosis of the liver, neuritis and heart disease. Alcoholic drinks are also heavy in calories. It is of course possible to exercise, eat properly and avoid hazardous substances and still develop a serious ailment. This is why everyone should have a regular physical examination that can detect potentially harmful health conditions. A regular visit to your doctor can supplement the other things that are important when it comes to preventive health care.